Apple reported profits of $28.27 billion this quarter, or $7.05 per share. Analysts predicted that Apple’s profit per share would reach $7.31, making this the first “disappointing” quarter in the company’s past 64. Apple sold 17.07 million iPhones during the quarter, notably short of predicted sales of about 20 million. When a new iPhone didn’t make an appearance at Apple’s World Wide Developers Conference in June, current and prospective iPhone customers became antsy. Rumors began flying about Apple’s upcoming device. Supposedly an iPhone prototype was lost at a San Francisco bar, but because it never made its way into the public eye, Apple’s next iPhone largely remained a mystery. 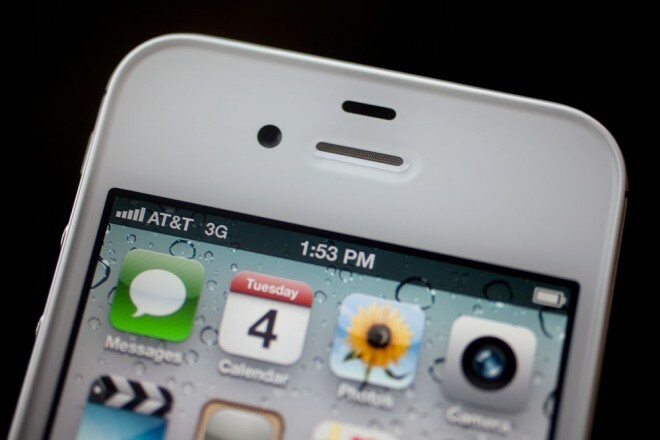 The iPhone 4S finally made its press debut on Oct. 4, and has since shown record-breaking sales: one million sold in its first day available for pre-order, with four million sold during its opening weekend. Unfortunately (for Apple), iPhone 4S numbers didn’t make it into this quarter’s figures. And the iPhone wasn’t the only Apple product to see less-than-stellar sales. iPod sales continued on a downward slope, falling 27 percent from this time last year to 6.62 million sales. iPads fared well, but fell just below estimates at 11.12 million units. Mac computers, meanwhile, posted a record-breaking 4.89 million sales, likely bolstered by the popularity of the latest MacBook Air, which was released in July. Apple expects to hit new company records for both the iPhone and the iPad as the holiday season begins. With a successful iPhone 4S launch under its belt, those expectations don’t seem far-fetched.